Location.--Latitude 48°00'52", Longitude 123°07'53", in NW 1/4 NE 1/4 Section 13, Township 29 North, Range 4 West, in Clallam County, Hydrologic Unit 17110020, on right bank 1.0 mile upstream from Canyon Creek, 4.8 miles southwest of Sequim, and at river mile 11.8. Drainage area is 156 mi2. 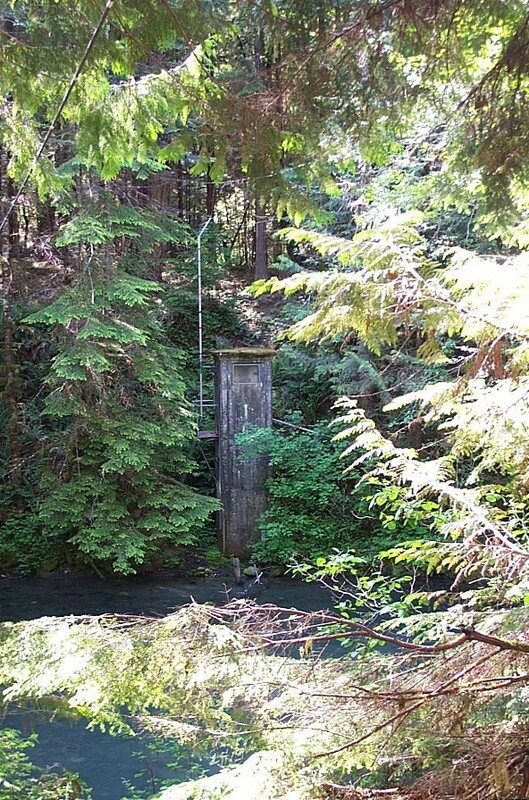 Datum of gage is 569.3 feet above NGVD of 1929, from river profile survey. Report on the surface water-groundwater interactions in the Lower Dungeness River. A transducer was added to the station on August 11, 2015 to record gage heights lower than the stilling well.